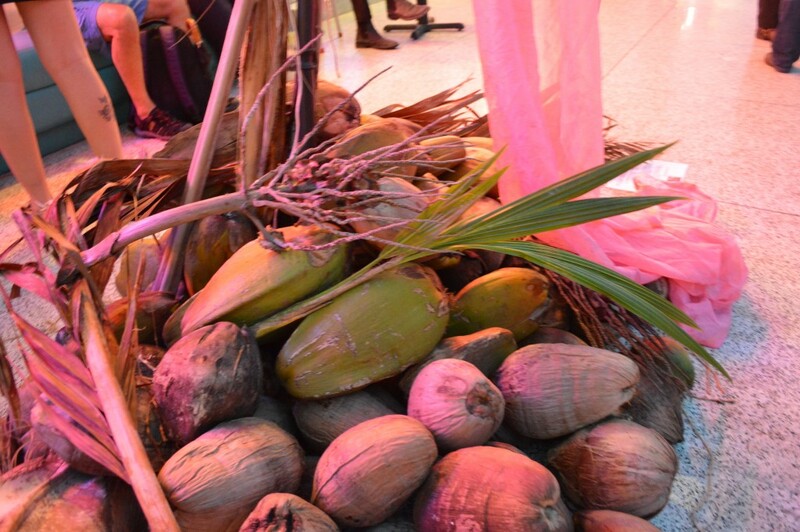 The coconuts symbolize climate resilience. 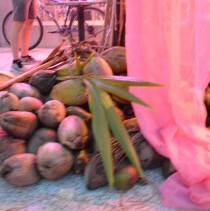 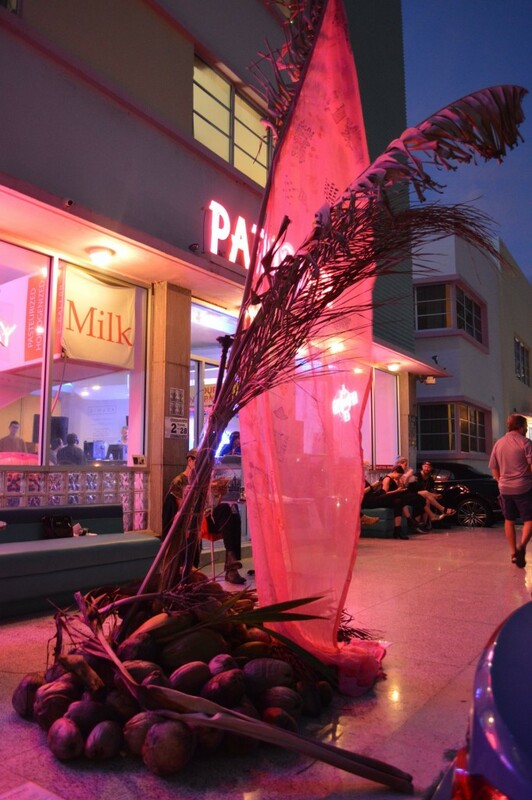 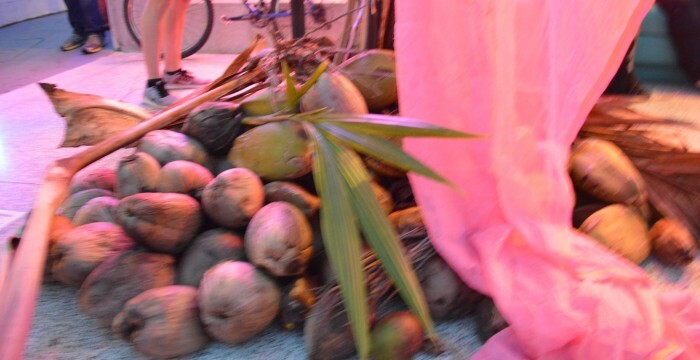 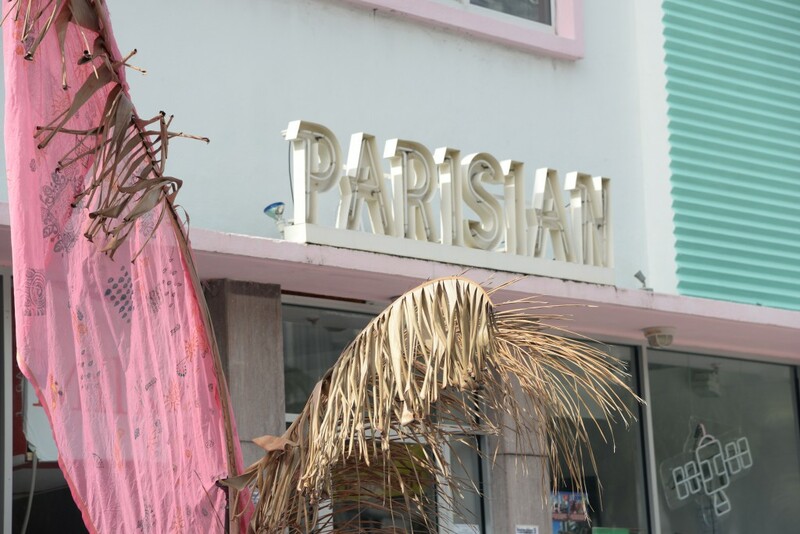 More than 100 coconuts were gathered by women in Miami and used on December 2nd for a collective performance and art action from the art fair to the rising sea with members of One Billion Rising Miami and a number of other participants. 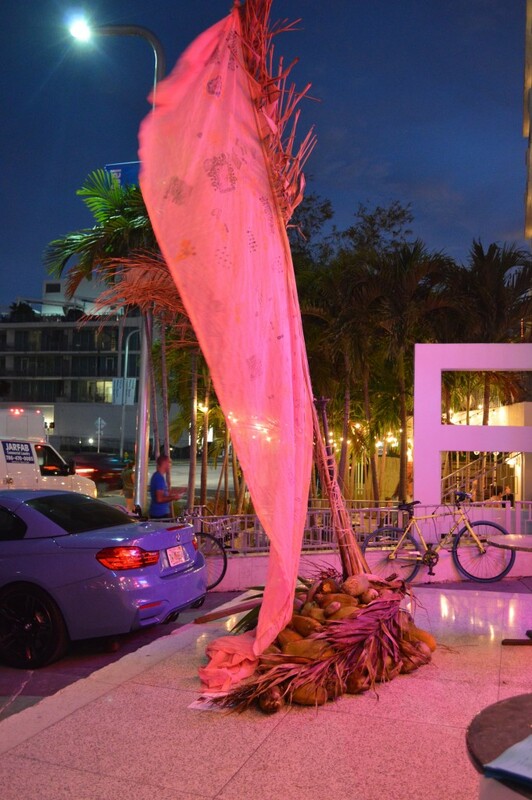 The artist is collaborating with women from her ancestral village in Bangladesh as well as communities in the US to raise awareness about climate change.